This Sunday, January 27th, we will collect non-perishable food items for those in need in our community. All donated items will be distributed by the Menifee Valley Community Cupboard (“MVCC”). 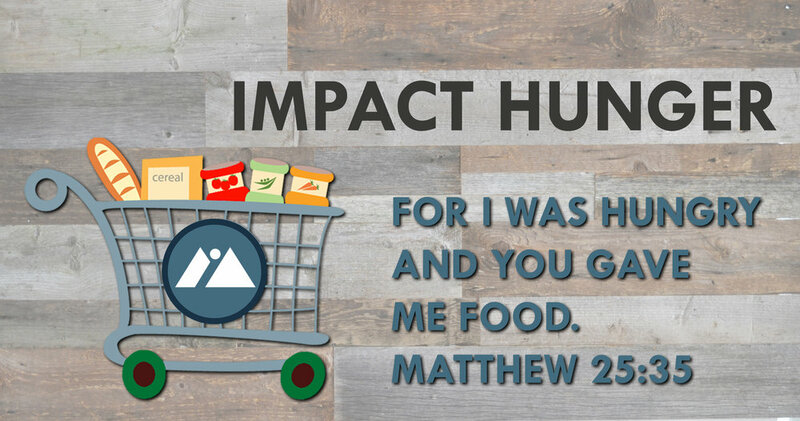 Donations can be dropped off at the Impact Hunger table out in front of the Worship Center on Sunday before or after any of our 4 morning services. Let's come together to Impact this need in the Menifee area!